In 2003, extreme heat waves claimed as many as 70, 000 lives in Europe. In France alone, nearly 15, 000 people died during two weeks of soaring temperatures, which reached as high as 104 degrees Fahrenheit. Much of North America experienced a severe heat wave in July 2006, which contributed to the deaths of over 140 people, including some who owned working air conditioners. In the 1995 Chicago heat wave, 739 heat-related deaths occurred in a one-week period. Global warming could increase smog pollution in some areas and intensify pollen allergies and asthma. Hotter conditions could also aggravate local air quality problems, already afflicting more than 100 million Americans. Scientific studies show that a higher level of carbon dioxide spurs an increase in the growth of weeds such as ragweed, whose pollen triggers allergies and exacerbates asthma. The number of pollen allergy and asthma sufferers has increased worldwide over the last several decades. Some researchers have suggested that this could be an early health effect of human-caused climate change. Air pollution makes allergies worse: Diesel exhaust particles can interact with pollen and deliver it deeper into the lung. Rising temperatures increase ground-level ozone smog production, which presents a serious threat to asthmatics. Warming temperatures, alternating periods of drought and deluges, and ecosystem disruption have contributed to more widespread outbreaks of infections like malaria, dengue fever, tick-borne encephalitis, and diarrheal illnesses. People living in poverty will be hardest hit by the global surge in infectious diseases. Disease-carrying mosquitoes are spreading as the climate allows them to survive in formerly inhospitable areas. Mosquitoes that can carry dengue fever viruses were previously limited to elevations of 3, 300 feet but recently appeared at 7, 200 feet in the Andes Mountains of Colombia. Malaria has been detected in new higher-elevation areas in Indonesia and Africa, posing new risks to millions of impoverished people whose health is already challenged. Heavy rainfall events can wash pathogens from contaminated soils, farms, and streets into drinking water supplies. An outbreak of diarrheal illness in Milwaukee in 1993 which affected 403, 000 people was caused by the parasite Cryptosporidium, which washed into the city's drinking water supply after heavy rains. Higher outdoor temperatures can cause increased outbreaks of foodborne illnesses such as salmonella, which reproduces more rapidly as temperatures increase. Another foodborne bacteria, Vibrio parahaemolyticus, once native to subtropical regions, has expanded its range as far north as Alaska, where in 2004 it sickened unlucky cruise ship passengers when they ate raw local oysters. A warmer atmosphere can hold - and dump - more moisture, contributing to more intense extreme weather events, which in turn put people's lives at risk. Will human health suffer with Global Warming? 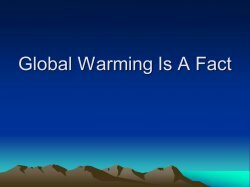 @Mr. Micah: We deny the reality of Global Warming, not climate change. Climate change is earthly. Did humans cause the Ice Age?